It is a dark times for coal producers around the world. And the bad news keeps on coming. 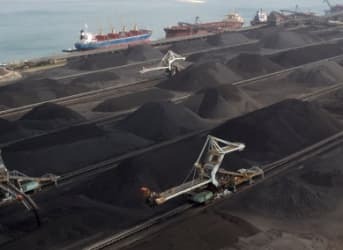 The latest is an agreement between the U.S. and Japan to slash financial support for coal exports, a deal reportedly made with an eye towards the Paris climate talks set to take place in December. The U.S. and Japan have long supported overseas buyers of coal through low-cost finance, as a means to boost their own exports of both coal and coal-based technology. In an effort to cut down on greenhouse gas emissions from coal – one of the largest sources of carbon pollution – the U.S. and Japan could end such support. The proposal would call on all OECD countries to do the same. Japan is the largest supporter of coal-fired power plants around the world, so its support is critical for the deal. Germany, another purveyor of public finance for coal, has also agreed to sign up. Related: Can Fuel Cells Help Clean Up China’s Air? The deal has already started to rub some other rich countries the wrong way. Australia, as one of the world’s largest exporters of coal, is seeking to water down the deal. Australia doesn’t issue export credit for coal plants, but benefits from other countries doing so, as financial assistance stokes demand for Australian coal. South Korea is supporting Australia’s counterproposal, which is intended to head off the more stringent deal between the U.S. and Japan. The OECD funneled an estimated $34 billion into coal projects between 2007 and 2014. If that were to dry up, it would be a huge blow to coal miners from around the world, already reeling from a supply glut and tepid demand. Coal prices are at their lowest levels in years, and the bankruptcy rate in the coal industry is starting to rise.